At Rodef Shalom, we have understood this for more than 150 years. Whether welcoming a new child into the family, celebrating the start of one’s Jewish studies, a Bar or Bat Mitzvah, a wedding, or confronting illness or the loss of a loved one, the value of coming together imbues our experiences with meaning. Engaged? Mazel Tov! The decision to share your life with a special partner is certainly reason to celebrate. Our rabbis are eager to share in your happiness and to discuss your thoughts about creating a Jewish ceremony that will honor both partners and their respective families and traditions of origin. Our rabbis officiate for all couples interested in locating themselves within the Jewish community. Decisions about marriage, to say nothing of fashioning a ceremony, can be both exciting and fraught with questions. To ease the process, and provide some answers, our rabbis look forward to meeting with you and talking about your future as a couple. At thirteen, Jewish children automatically become Bar Mitzvah (“son of the commandment”) or Bat Mitzvah (“daughter of the commandment”). In ancient days, this marked the child’s entry into adulthood. Over the centuries, the service in which a child demonstrates his or her newly acquired Hebrew skills by participating in a Shabbat service and reading from the Torah has taken on the same name: Bar or Bat Mitzvah. At Rodef Shalom’s religious school, students are gently introduced to Hebrew in Second Grade, with more formal language education beginning the subsequent year and continuing through Sixth Grade. Students meet with private tutors and work in concert with one of our rabbis on their Torah readings and d’vrei Torah (age appropriate exposition of the Torah portion). We encourage children to work to their full potential and to participate in the service in ways that suit their abilities, skills and interests. Welcoming a new member of the family is a profound experience. Our Rabbis would be honored to share in your happiness with the proper rituals and celebrations. Tradition calls for us to circumcise our sons on the eighth day of life in a ritual called brit milah, the covenant of circumcision. During this ceremony, boys also take on their Hebrew names. Girls are welcomed and given their Hebrew names in a ceremony called brit bat, the covenant for a daughter. 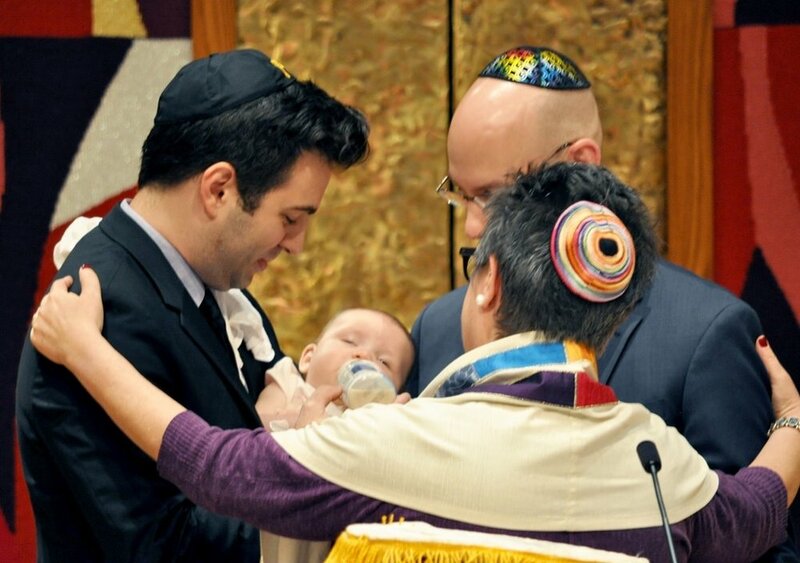 Naming ceremonies typically take place during one of Rodef Shalom’s Shabbat services. Our rabbis are readily available to meet with you before or after your child is born in order to discuss the details of the appropriate ritual to welcome your child, honor your family and link us all in the chain of Jewish tradition. We’d also be glad to help you choose a Hebrew name! 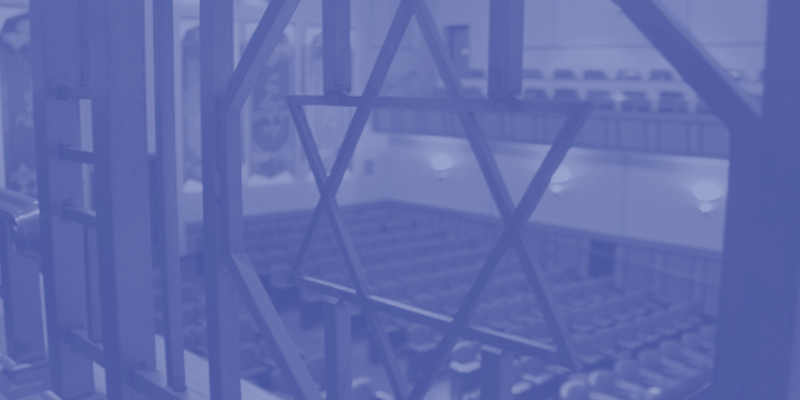 At Rodef Shalom we honor the Reform movement’s position on Jewish identity: All children with at least one Jewish parent and who are raised and educated as Jews are considered to be fully Jewish. In the early years of Reform Judaism (late 19th and early 20th century), Confirmation was meant to replace Bar Mitzvah and to mark the completion of students’ Jewish educations. Today, Confirmation is held at the end of the tenth grade. In preparation, the tenth grade year is spent studying the history and foundations of Reform Judaism as well as contemporary issues in the faith during seminars with the Rabbis. A field trip is also part of the process in a year that culminates with a joyous Confirmation service—crafted in concert by the students and our rabbis—on or near Erev Shavuot (the holiday on which we celebrate the receipt of the Torah on Mount Sinai). A decision to become a member of the Jewish community is not a frivolous thing. Indeed, conversion can be one of the most profound transitions in a person’s life. 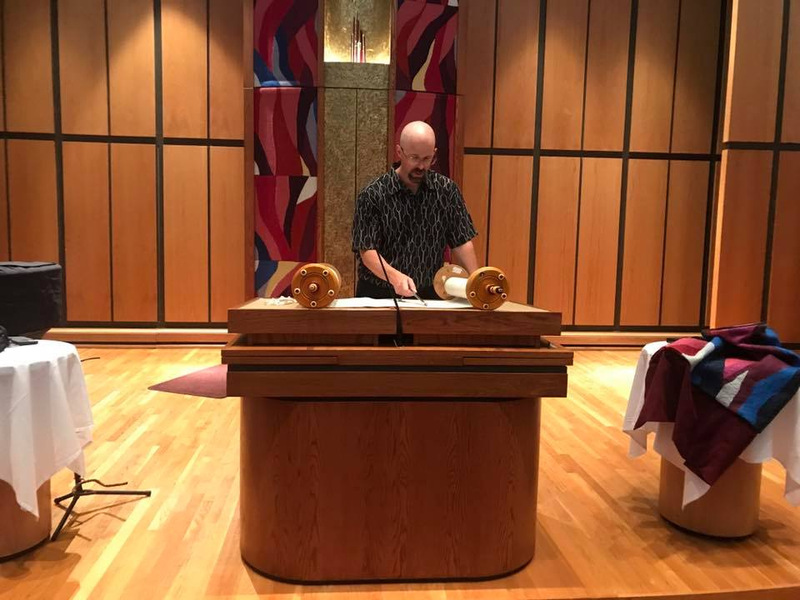 Typically, the process towards conversion involves meeting with our rabbis, sharing a year in the life of our Congregation, and enrolling in the Introduction to Judaism class sponsored and taught by the Pittsburgh Reform rabbinate. This class, which meets annually on Thursday evenings and runs for approximately five to six months, includes one-on-one study with a rabbi, attendance at worship services, and participation in our community in concordance with one’s interests and skills. When it is mutually determined that a candidate is ready to join the faith, he or she comes before a rabbinic bet din (“court of three rabbis”), is immersed in the mikvah (ritual bath), and, when appropriate, undergoes hatafat dam brit (“the covenant of the drop of blood,” or, symbolic ritual circumcision). Finally, a ceremony of affirmation is celebrated; this can be held at a Shabbat service or privately with family. Please note that choosing Judaism is a highly personal journey and is therefore not bound by a time frame; each course of study is customized to the candidate in question. For those who are curious about what this would involve or who wish to learn more about joining the Jewish People, our rabbis invite you to be in touch with them. Bikur cholim, visiting the sick, is an important Jewish tradition and, as such, is taken very seriously at Rodef Shalom. While our rabbis feel it a privilege to visit one who is ill, we respect the right to privacy. Further, HIPAA regulations make collecting information about those in hospital a difficult task. For this reason, we rely on being informed about illness and hospitalization and ask that you if you have information you would like the rabbis to have, you contact our rabbinic office so that our rabbis may respond appropriately. When a loved one nears the end of life, the pending sense of loss can overwhelm. All the more so when death arrives. Our rabbis want very much to be available to our community in these times of need and invite you to be in touch with any questions you may have about the seemingly insurmountable challenges end-of-life issues can provide. 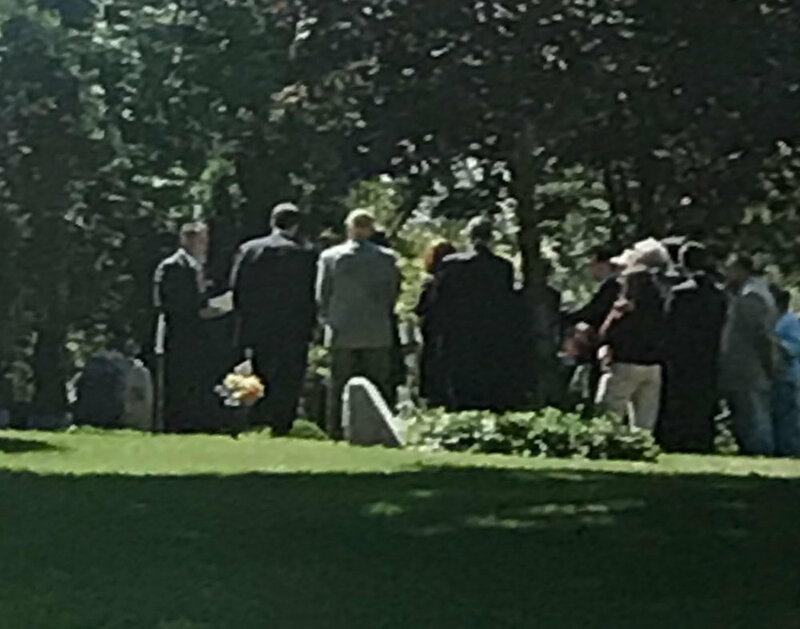 In concert with area funeral homes, our staff can provide you the resources you need to make your way through this transition and one of our rabbis would be honored to discuss officiating at funeral services or arranging for a shiva. Our facilities are available to members for life-cycle events and other meaningful events. Affordable space in Rodef Shalom is also available to non-profit organizations for classes, retreats, lectures, and fundraisers. Our staff can assist you in making your celebration exactly what you want it to be. We work with all party planners, caterers, and other service providers to ensure your event will be a success. To learn more, see our events rental page or contact Marlee.